Building the interior. 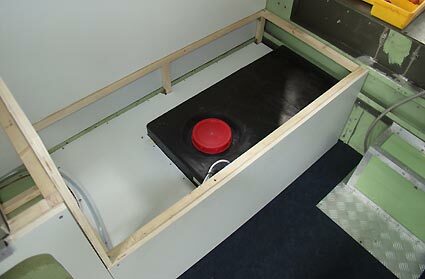 First I glued in a new floor and made a cover over the gearbox where the seat used to be. 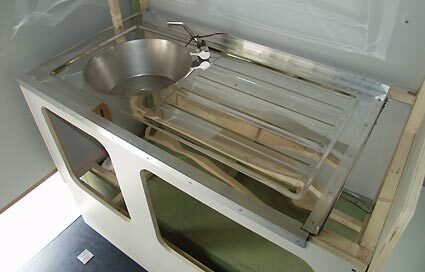 The cover is removable so it is much easier to reach the gearbox from the top. 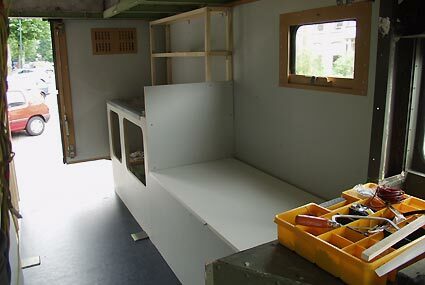 Then I started to build a framework for the cupboards, seats and kitchen. The fridge. 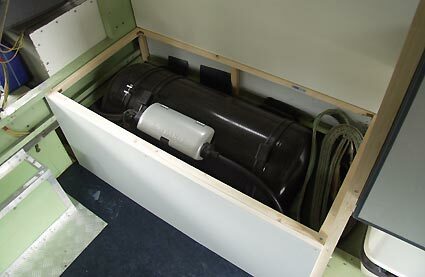 A compressor type, freezing up to minus 22 degrees and a 60L content. Under it is the chemical toilet. I will put it on a rail to shift it out of its cupboard. 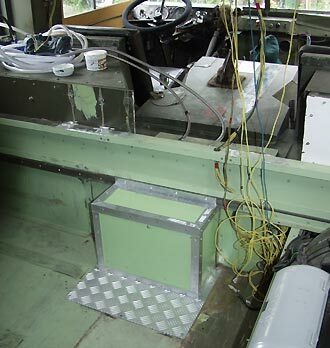 The seat on the right is containing the lpg tank. 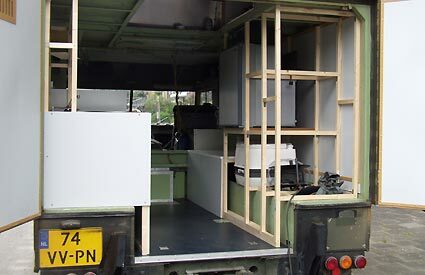 When we take the car to South Africa the tank will be removed and jerry cans with petrol will take its place. 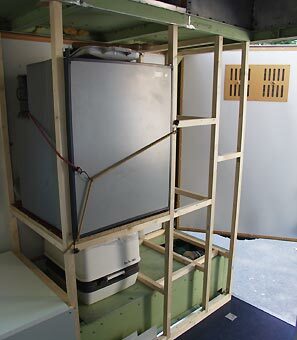 On the other side there is a 110 L water tank. There is a gauge with it to measure the water level. On top of it there is place to store the sleeping bags. The kitchen. For cooking we use a Coleman petrol stove. It fits right next to the sink.